Finding out that you have been denied for Social Security Disability Insurance (SSDI) can be devastating. If a disability is preventing you from maintaining gainful employment, you are likely to need the type of financial assistance that SSDI can provide. That’s why having your SSDI claim denied can be such a scary prospect. Here, we tell you why you are not alone – and why most applicants have their SSDI claim denied the first time around. We tell you how to file an appeal, and how hiring an attorney can provide you with your best chance of success. Finally, because we know how financially-challenging this process can be, we get into the specifics of how much an SSDI appeal attorney will cost, and why hiring an attorney at this stage in the process is well worth it. If you applied for SSDI and have been denied, you may feel like giving up. But don’t let your denial stop you from moving forward! Here is an interesting statistic: Most of the people who apply for SSDI are denied, in 2012 the approval rate at the first stage was 33%. BUT, most of the people who appeal their denial eventually win their case! Therefore, if your SSDI application has been denied, you should try to consider this denial as just the first step in a long process, rather than thinking of it as the end of the road. Why are most appeals denied? Most SSDI applications are denied because the SSA determines that the applicant’s disability is not severe enough or long-lasting enough for that person to qualify for benefits. For example, let’s say you were in a car wreck and broke a number of bones, and those injuries prevent you from working. The SSA could deny your claim because most of your injuries would heal in less than 12 months, and any injuries which DID remain after 12 months would not prevent you from working. Or, let’s say that you were you sustained injuries which definitely would last over 12 months. The SSA could STILL deny your claim if they determined that those long-lasting injuries were not severe enough to keep you from working. Most SSDI denials are for one of these reasons – a disability which is either not severe enough or not long-lasting enough to prevent the applicant from participating in substantial gainful activity (SGA). The key to proving that your disability is severe and kept you from working is extensive medical treatment that shows you could not work over the 12 month period and ongoing. Some applicants receive what is called a technical denial, or a denial for non-medical reasons. That means that the SSA has determined that the applicant did not meet the work credit requirements to qualify for SSDI – that person’s application would have been denied before the SSA even considered whether that person was disabled. We discuss appealing both medical and technical denials below. Your SSDI application has been denied – what do you do now? First, it is important to note that if your SSDI application is denied, you should NOT re-apply. Re-applying simply starts the process all over again. And unless you’ve had a major change in circumstances, it is likely that your application will simply be denied all over again. Rather than re-apply, you should ALWAYS appeal your denial. You have 60 days from the receipt of your denial letter to appeal the SSA’s decision. As far as how to appeal, your denial letter will contain the instructions for the appeals process. Generally, you contact your local SSA office and let them know that you will be appealing the decision, and they will tell you what you need to do next. For most applicants, the first step in the appeals process is something called a Request for Reconsideration. In most states, the first step in an appeal is called a Request for Reconsideration, while some states skip this step. California is among the states which does not require the request for reconsideration, but this is true of the Los Angeles North and Los Angeles West branches only. Therefore, even the majority of Californians would need to seek a request for reconsideration. Approximately 10-15% of appeals are granted during a request for reconsideration. If you do have to file a request for reconsideration and it is denied, or if you live in a state where you didn’t have to file one in the first place, then your next step is to request a hearing before an administrative law judge. So, your request for reconsideration has been denied, or you did not have to file a request for reconsideration. Either way, your next step is to request a hearing before an administrative law judge (ALJ). You must request your ALJ hearing within 60 days of receiving your denial letter. An administrative law judge is an attorney who works for the SSA, specifically in a department called the Office of Disability Adjudication and Review. This means that the majority of what these ALJs do is hear disability appeals. The ALJ will also likely enlist the assistance of a vocational expert. A vocational expert is someone who knows various jobs and the skills it takes to do them. Most people who appeal their SSDI denials were originally denied benefits because the SSA determined that there were other jobs available to the applicant which would allow him to participate in substantial gainful activity, or SGA. Therefore, the vocational expert will be there to inform the judge which jobs he believes that you are capable of doing and why. Again, having an attorney at this stage is helpful because he or she could argue against the vocational expert if you disagree with his findings. The ALJ may also wish to consult a medical expert for assistance with understanding your claimed disability. Again, it is helpful to have an attorney to assist you if you expect that you may disagree with the medical expert’s findings. In terms of probability, the hearing in front of the ALJ is your best chance to win your SSDI case and it is highly recommended that you have an attorney for the hearing due to the complex legal questions and issue and dealing with the vocational expert. The average time to wait between the original application and the hearing date may be 18 months to 2 years. This is why applying as soon as possible for SSDI benefit is so critical. Even if you are not among the 52% of cases whose appeals are granted by the ALJ, you have another avenue in your appeal process – the Appeals Council. Essentially, if your appeal is denied by the ALJ, you can request that the Appeals Council hear your case. The important word here is request. You are not entitled to a review by the Appeals Council. In fact, they will only hear your case if it meets certain conditions; specifically, there must have been a flaw in the ALJ’s review of your case. Note that cases brought before the Appeals Council are only won 2-3% of the time and people get a new hearing 18% of the time. Technically, the only reason for pursuing this option is that you must do so before being allowed to pursue your case in federal court, which would be the next step in your appeals process. If your disability claim is denied and you have exhausted your appeals options with with SSA, your next step is to take your case to the U.S. District Court. The good news is that at least one-third of disability cases taken to federal court are won by the applicant. The bad news is that this is an arduous process. Federal court cases can take years and are extremely expensive. Therefore, while federal court is an option, it is in your best interest to do everything possible to win your appeal prior to reaching that stage. How an appeal is different from your original application? If you’ve already submitted your original SSDI application and been denied, you may be wondering how and why you need to approach your appeal so as to change your end result. If your disability situation hasn’t changed since your original application, why will things be different this time around? The simplest answer is that the appeals process is handled less systematically than was your original application. First, let’s start with the request for reconsideration, assuming that you need to take this step. A reconsideration is a complete review of your claim, and it is carried out by a medical consultant and examiner who were not a part of the decision to deny your original application. In other words, a request for reconsideration is like a do-over with new parties on the decision-making end. As far as the work on your end is concerned, a request for reconsideration is not all that different from your original application. But assuming your request for reconsideration is denied, then this is where the appeals process starts to vary greatly from your original application process. The biggest change comes in the next step in the appeals process: the ALJ hearing. That’s because an ALJ hearing is just that: a hearing. No more hiding behind paper documents – this is an in-person discussion of your argument, a formal proceeding where evidence is presented and arguments are made. The fact that the ALJ hearing is so different from your original application process is the reason why hiring an attorney is so important at this stage. Hearings, arguments, presenting evidence: all of these steps can be very confusing, and scary, for the average applicant. But an attorney knows how to present your case to the ALJ and to give you the best chances of winning your appeal. What do you need to do to win your appeal? If you’ve already applied for SSDI and have been denied, then the first thing you need to do in order to have a different outcome this time around is to figure out why you were denied in the first place. Find out what the SSA thinks you did wrong, and this time do it right. The first step is to determine what type of denial you received. As we pointed out in our discussion of SSDI eligibility and requirements, the first step the SSA will take in reviewing your application is determining whether you meet the non-medical requirements for SSDI. By non-medical, we mean the questions as to whether you earned enough work credits (and earned them recently enough) for your application to be considered. Remember that if the SSA determines that you do not meet the non-medical requirements, then the issue of whether you are disabled will not even be considered. A technical denial is a denial based upon the non-medical portion of your SSDI application. You will know whether your application denial was a technical denial because it will say so in the denial letter that you receive from the SSA. Some of the reasons for a technical denial are that you made too much money to qualify (meaning that you were found to be able to participate in substantial gainful activity, or SGA), or maybe the SSA determined that you didn’t work (and pay into the SSA via FICA withholdings) long enough to qualify for SSDI. Generally speaking, most technical denials cannot be appealed. In other words, if you didn’t earn enough work credits to qualify for SSDI, then there is nothing that you can do to change that. Technical denials can be appealed, however, if the SSA made a mistake in calculating your work credits. An appeal of a technical denial is handled just like an appeal for medical reasons, and the instructions for filing an appeal will be listed on your denial letter (and discussed on this website). While technical denials do occur, the majority of SSDI applications which are denied are due to medical reasons. That would include denials based upon a decision that your medical condition is not severe, as well as deciding that your condition does not prevent you from participating in SGA. As we said above, a lot of the time the denial is due to lack of medical information. Sometimes Social Security did not get all of the records or they need medical opinion evidence from your treating doctors and those reports never made it to the person reviewing your claim. The best way to overcome a medical denial is to provide the SSA with as much medical information as possible, so that an informed decision can be made on your case. You need to focus on the fact that your disability prevents you from working (specifically, from performing any substantial gainful activity). Remember that it isn’t enough to show that you can no longer perform your old job – you also need to be able to show that your disability prevents you from performing any other job for which you would otherwise be qualified. Should you hire an attorney to handle your SSDI appeal? If you’ve been reading our description of the SSDI appeals process, then our answer to this question should come as no surprise. Should you hire a lawyer to handle your SSDI appeal? Definitely. And this isn’t just a sales pitch: hiring a lawyer is undoubtedly in your best interest, and it gives you the best chance at winning your SSDI appeal. While an attorney can help you apply for SSDI the first time around, the truth is that most people who hire a lawyer do so at the appeals stage. That’s because the work involved in the appeals process – hearings, expert witnesses, arguments before a judge – are activities that are much more familiar to an attorney than to the average layperson. Plus, if nothing else, an attorney is someone who can put a fresh, experienced set of eyes on your case, letting you know what you’re missing and what you can expect throughout the process. Now, there is something very important to consider at this point. Statistically, ALJ’s grant approximately 52% of the appeals that they hear. Think about that – that means that 52% of the time, someone who was denied SSDI the first time around will be granted SSDI if they appeal. That is a powerful statistic, and it shows why appealing a denial should be an easy decision to make. Sadly, however, most SSDI applicants who are denied the first time around will NOT file an appeal, despite their increased chances of having their application granted during the appeals process. This decision not to appeal could be because people don’t realize that they CAN appeal, or understand why they should. But the main reason why most people don’t appeal their SSDI denials is because the application process was so much work the first time around that they simply don’t want to go through it all again. Being disabled and unable to earn a living can put a strain on a person’s finances, their family, and their overall well-being. It makes sense that they wouldn’t want to cause themselves any additional stress. But this is one of the ways in which hiring an attorney can help an SSDI applicant: by becoming the disabled person’s partner, and to assist him as he goes through this difficult process. How much will an attorney charge to handle an SSDI appeal? If you’re considering hiring an attorney to handle your SSDI appeal, chances are that you are curious as to how much an attorney will charge you. But what most people don’t realize is that SSDI cases are a special area of the law in which attorneys do not charge hourly rates or demand large retainers. Instead, the amount that an attorney charges for an SSDI case is set by law, meaning that all attorneys charge a fee that is calculated the same way. How is the attorney fee calculated? The method for calculating an attorney’s fee for an SSDI case is actually pretty simple: the attorney collects 25% of your past-due benefits, not to exceed $6000. What that means is that your attorney only makes money if you win, and he does not get paid UNTIL you win. Most of the time the SSA just takes the attorney’s fee out of your past-due benefits and pays you the rest, meaning that you never actually have to give your attorney his fee personally. An attorney can also request additional costs from you for things like postage, copying, etc. These expenses are to be expected, given that the attorney will be making many requests for medical records and other evidence. Usually these fees run in the $200 range but are often less. Some attorneys ask for these fees up front, and others let you pay the fees once your case has been won. If this issue is important to you, then before you hire a lawyer you should clarify whether he will expect any money from you up front. Why the attorney fee laws benefit you? This question is actually pretty simple. First, the fact that all attorneys are required by law to follow the same fee calculation means that you do not have to shop around for the best rate. You can choose an attorney based upon other, more important factors such as his or her skills and whether you feel a bond with this person. Second, the fact that the attorney does not get paid unless and until you win means that the attorney has every reason in the world to work as hard for you as possible. But the most important way in which the attorney fee setup can be a benefit to you is related to something called a disability onset date. As we’ve said, the attorney only receives a share in your past-due benefits, not your future benefits. And your past-due benefits are what will be paid to you in a lump sum by the SSA if you win your appeal. So, obviously, both you and your attorney want those past-due benefits to be as high as possible. While you may think that your past-due benefit amount is something over which you have no control, the truth is that an attorney can take actions to help to increase that number. He or she does this by arguing for as early of a disability onset date as possible. In other words, the earlier your onset date, the longer you have been disabled and the larger your backpay award. 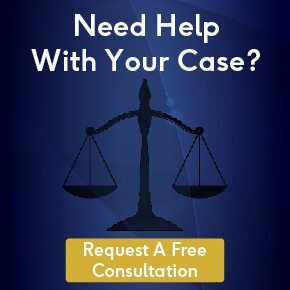 The bottom line is that an attorney not only can increase your chances of winning your appeal by using his expertise, but he can also help you through the process by relieving the stress of having to do all of the work yourself. On top of that, you will only have to pay the attorney if you win, and his payment will come out of your lump-sum check automatically. Finally, he can help to make that lump-sum check as large as possible, which benefits both of you. While having your SSDI application denied can be disheartening, you should not give up. As long as you educate yourself as to the reason the SSA denied your application and address that issue head on (hopefully with the assistance of an attorney), the appeals process will give you another shot to argue your case. And while an SSDI appeal may be complicated, it is well worth the efforts, given the potential benefit if your application is granted.